The market is starting to show a direction that is obvious. Sony had a 99.5 percent share in July, so its reign naturally retreated with those new models. 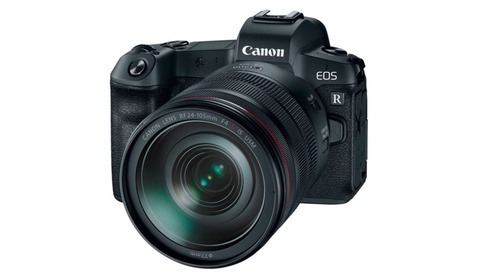 Canon is stepping ahead quiet strongly with the solid EOS R system. Also, we can see that the Nikon Z series got an important share. If we join Canon and Nikon, they achieve 32.5 percent, a really strong debut that menaces the king of sales, the A7 series. What Could These Sales Numbers Mean? Sony has been leading the market since 2013 and will not be defeated that easily. With its Alpha series, they earn 67 percent, double their competitors together. Still, on the other hand, this can mean that Canon's and Nikon's strategies were correct, placing an attractive product with a fair price. Also, we must have in mind that the Nikon Z6 will be sold at the end of November. Who Are Those Canon and Nikon Buyers? This is an interesting question, because it could be seen according to different approaches. For instance, that 22.1 percent could be represented by long-term Canon users who waited for the Canon EOS R release. It seems that Canon had a good product placement in the market. The EF adapter seems to work flawlessly and the batteries are the well-known LP-E6N that so many EOS bodies use. This transition is way smoother than switching to another brand. Also, the native lenses are getting really good reviews. On the Nikon side, when the Z6 gets to the shelves and better glass arrives, a game-changing moment is quite probable. The Mount Adapter FTZ and the inclusion of IBIS was a great choice. Despite the Z7 price, 10 percent is a promising number. Will Sony attack the full frame market with a new model? I´m pretty sure that great times are coming to gear lovers! For now, we are opening a new chapter on the full frame camera market. Mirrorless is here to stay and it's the future; that's quite clear. In the near past, Canon and Nikon were beaten by the Sony Alpha series. The switchers and the unhappy customers clamored for the last two years about the need of a full frame mirrorless body. Finally, Canon and Nikon answered, showing some promising models. We can´t forget that those are still generation one against a really mature and competent system created by Sony. We must wait now for the Black Friday and Christmas sales. They could give us some more clues about it. We guess that the winner here is clearly the customer. Diversity is the key to innovation. So, let's grab some popcorn, sit comfortably, and watch this amazing match! Even the robots of Japan have nostalgia, it makes up 99% of Leicas business. Isn't using your existing lenses a practical decision? Sony has 99.5% in July... meaning two people owned a Canon M50. Now, since other companies have mirrorless FF available the 99.5% has come down?! In APSC, canon is doing fine. Maybe Is just too early to draw any conclusion. First that is just Japan and might not be the same for the rest of the world. Second, I don't know for sure if it is delivered cameras to retailers or sold cameras by retailers. Huge difference, the stock might be lying on the retailers's warehouses waiting to be sold. Third, just two months speaks about people who were waiting for canikon mirrorless cameras to arrive. A huge user base who knew about mirrorless benefits but didn't want to go the Sony route (ergos, built quality, brand loyalty, poor performance with adapted canon and nikon lenses, whatever). 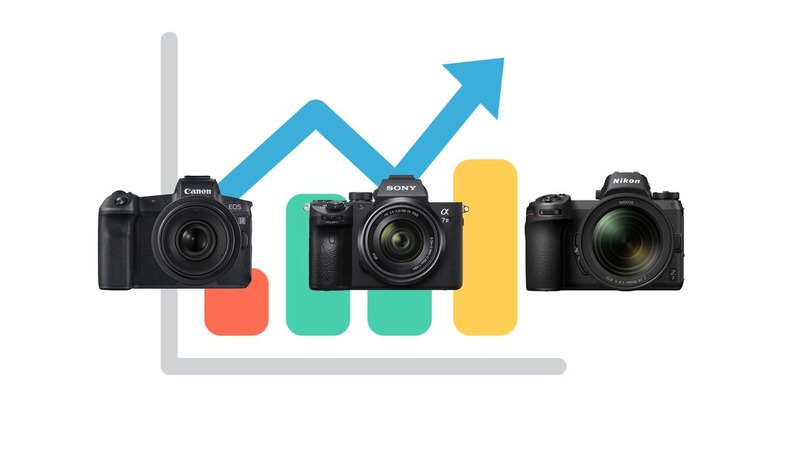 If we look carefuly, the nikon graph has already to lose market share, it will win market share wirh the z6 release, but it tells us about the introduction spike of an awaited product. Right now, I would wait between half a year and a full year to watch the dust settle and which market share ends up each player with. Thank you for giving your thoughtful opinion. Let´s see how the world market will behave in the next months. For starters, it looks promising in Japan. It proves that the introduction of a FF mirror less camera by the #1 and #2 camera companies has an impact. Will it spread world wide? I think so, mostly because the two companies have a seamless adapter allows their current lenses to be used with little or no drop off. 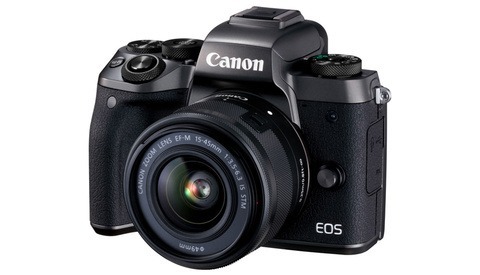 In addition, if Canon introduces a pro body, the equivalent of a 5DV, in other words, improves on the 5DIV, it will be a hit with Canon fans and will avoid the mistakes made by Nikon and the Z7, the Z7 being priced at pro body levels but lacking in all the features of a pro body. Of course, that means that Canon can't price it beyond that $3500 threshold. I agree with your thoughts. We must wait for the Z7 competitor from Canon, see how the Z6 will behave and furthermore, how Sony will reply to this situation. The two brands did his homework, that´s a fact. Thank you for your input. sony was the only one who had the lot to play by himself with ff. canon and nikon are in now and panasonic is behind them. I estimate the numbers for sony will come down at least 25% more in the next 2 years. gen 1 for nikon and canon are much less deficient then gen 1 for sony. the big 2 learned whats right and wrong from sony. building a ff ml from scratch is much harder than one thats been in the market and gives a yard stick to shoot for. as a nikon user, I think the Z cameras were purposely half assed because of time, resources and nikon unsure how well they will sell. gen 2 should be much better. prices are also too high IMO. Now that the games have begun, it´s time to see the next moves from Sony. You made an interesting point. Canon and Nikon bodies are less deficient then the 1st Alpha generation. They surely did their homework. I´m also curious to see how will be the next cameras. I´m sure better and better. About the prices, I hope they don´t grow exponentially with time. Thanks for your bringing up your thoughts. Right now, there's a point on the "learning by watching" theory, but it's easier to allow for fast frame rates or good video when the sensor allows you to get more data from it faster (sensor readout). Also, good viewfinders (oled screens) are now cheaper than they used to be 5 years ago. Processors are also better and allow to handle more data more efficiently. All in all, doing a good mirrorless on 2018 is easier than doing it on 2013. Where we see the sony headstart is on the framerates with full AF and AE, with the power management, the Autofocus (continuous eye AF, more snappier, and better tracking). Nikon did many things well, but are things that didn't need a diferent know how from building a DSLR: build quality, IBIS, and some things like the intervalometer and the improved video. 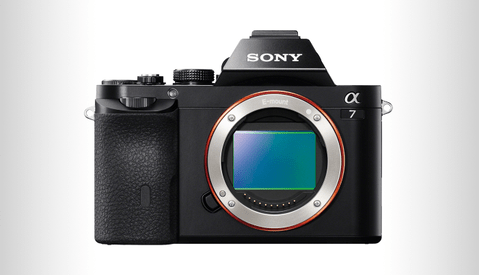 IMHO, right now nikon and canon are on a Sony A72.5. They surpassed the gen 2 capabilities but fell short compared to the gen 3 Sonys which, right now, are the benchmark. These are the relative numbers. With all the Nikon and Canon users upgrading the mirrorless market is growing. It is not that Sony has a 33% dip in absolute sales. But clearly they aren't the only players anymore. What a click bait article. These numbers have been out in other sites and have agreed that means almost nothing. In the last 2 months one of these 3 brands did not release a camera. No need to compare the sales of 2 newly released cameras to another who has older models out there. Please get rid of these kind of l articles, it’s a bad advertisement for Fstoppers. Within about 1-2 years I suspect Canon and Nikon will rule the mirrorless market as they now rule the DSLR market, however big or small the overall camera market may be by then, and it will just be business aas usual. 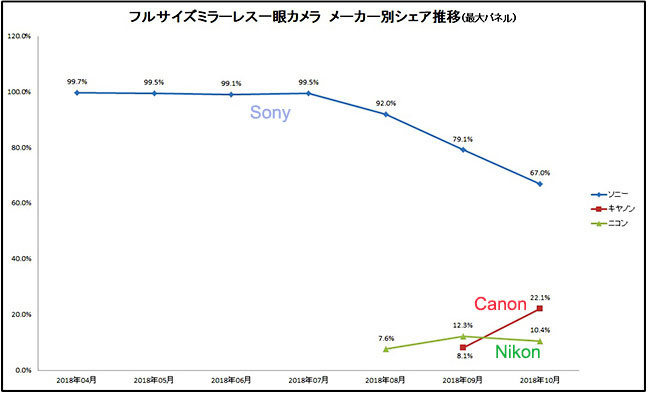 Please specify that the graph is sales for fullframe only, otherwise Sony's share would be much lower due to Fuji. Those big Canon numbers are surprising though. Is it from people owning Canon glass already ? Or people trusting in that new mount ? Or is it brand fidelity? This is such a stupid comparison. It's only looking at sales, and it's only looking at Japan. Of course Canon and Nikon will have a HUGE percentage of sales when they first launch their products. Anyone who knows business analytics know you don't get excited by those numbers. You don't even start comparing numbers till you're a minimum of 3-6 months into sales. What would be nice would to see the sales numbers for first time buyers. That could tell you a little more about how the market is trending but I would assume the majority of these Canon and Nikon sales are all current customers. I mean who really wants to buy into a system that only has a couple of native lenses? I'm really surprised that Fuji has virtually no market share in Japan. I'm thinking this chart represents full frame mirrorless. There's no way Sony had 99.5% of the total mirrorless market. That unlisted .5% is probably Leica. I´m a Sony user and love my a7III. I'm a switcher from Canon but I got a tell that the new R looks also cool. Let's wait a few more months and see how the sales growth.